2- The question of the relevance of the use of contemporary human sciences, and thus of dealing with a sacred corpus in a profane manner (Quran, Ḥadīṯ). 3- The question of historical criticism: legitimate or not, relying on canonical corpus or composing new ones, with which tools… for what purpose? Evaluation of the isnād and/or the matn? 4- The question of blind spots in the history of Ḥadīṯ: voices that are not expressed, women, minorities,… How can we write a history that takes into account what is not documented, the point of view of those who are dominated or silenced? 5- The question of “reason” (ʿaql), which lacks, in Arabic, a working definition, allowing everyone to claim it for themselves, or to refuse it to others. It seems that researchers in reality often confuse “reason” (ʿaql) as capacity and “rationalities” (ʿaqlāniyyyāt) as its implementations. 6- The presence of several persons from Muslim minorities during the colloquium (one Omani Ibadi, two Saudis Ismailis, two Iraqi Shiites) also opened the debate on the different readings of Ḥadīṯ. 7- The question of the “scientific miracle” (cf. Bucaille), which always finds followers, including in the field of Ḥadīṯ. During the concluding session, Walid and Aisha emphasized one or another of these points. However, the issue of the emergence of Ḥadīt as a source of authority was not addressed as such. If Ruggero Sanseverino has dealt with the epistemological question of its authority, to link it spiritually (and not mechanically) to the person of the Prophet, the other interventions have approached the question of the authority of Ḥadīṯ in a given context, in a given science, in a given author. But none of them studied the issue over a long period of time, and neither the workshops nor the concluding session tried to do so. 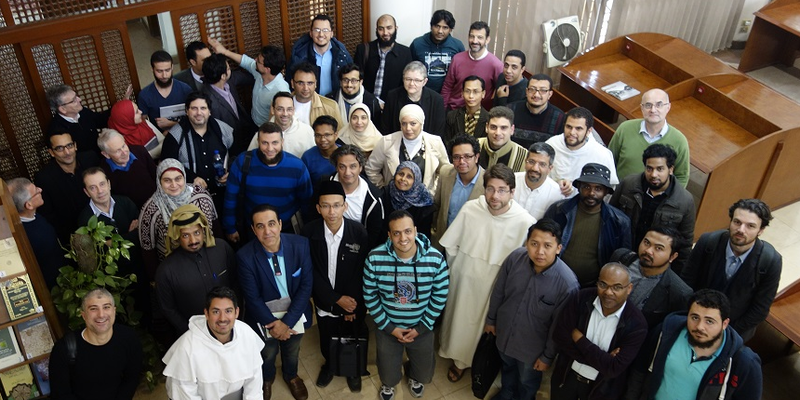 One of most exciting aspects of the conference was probably the fact that it connected scholars from the West with scholars from Egypt, which is probably why the methodological issues took such an importance during the workshops. The proceedings of this conference will be published in MIDEO 34 (2019).